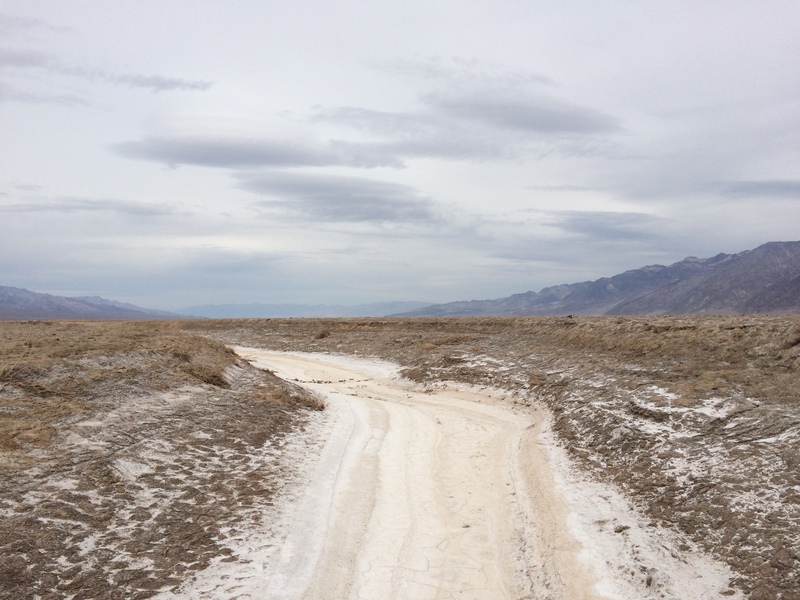 Adventures in the Desert – Off the Road. Since starting my PhD program at Caltech this fall, I have had some incredible opportunities to go into the field. With the wilderness of southern California as our playground, my colleagues and I have gone mineral prospecting, rolled down sand dunes, enjoyed hot springs, and had Thanksgiving dinner on a mountaintop. The weather is so predictably clear and dry that I have started sleeping in my sleeping bag on a tarp, watching shooting stars without a tent to obscure the view. And the other students in my program inspire me with their love of the outdoors and intellectual tenacity in trying to understand the world around them. 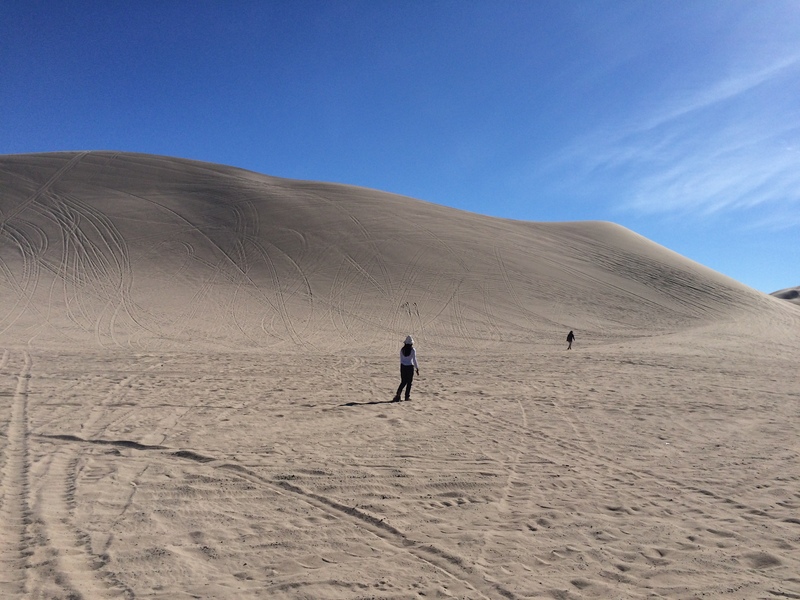 The Dumott Dunes – The Bureau of Land Management divvied up the dunes around Tacopa, CA into ones where you can and can’t ATV. On our sedimentology trip, we visited the dunes to gain a visceral understanding of sediment transport by wind by getting sandblasted by the wind and tumbling down the slopes of the dunes. These dunes also hosted a test of the Curiosity Rover’s ability to drive over sand, when the engineers realized that the rover’s landing area included some large sand dunes! 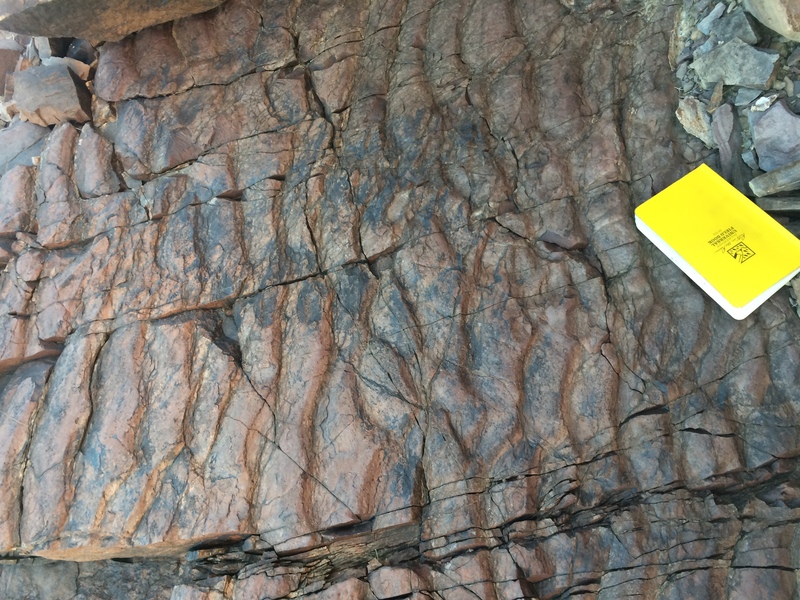 Ripples in the Stirling Formation – These preserved wave ripples are around 600 million years old! Measuring their heights, lengths and asymmetry allowed my class to back out the current strength and direction of the water that formed these ripples, helping us figure out what the Earth looked like just as complex life was first arising. Malachite Mine – this abandoned mine shaft had a spectacular pile of mine trailings with tons of malachite, a bright green copper ore.
An ephemeral river on the floor of Death Valley. These channels carry water during some parts of the year down into Badwater Basin, and leave salt deposits behind when they dry up. The salts even record individual raindrop imprints from a sprinkle of rain that occurred after the channel dried up. Surprisingingly, as we hiked downstream, we found a couple of puddles in the channels that contained fish! I can’t wait to spend more time in the field this upcoming year. Being able to go out in the field so frequently is amazing, and I am ready to be constantly surprised by the variety and beauty of Southern California for the next couple of years!